We all knew this day was coming after reading Twitter’s fairly recent blog post on the company’s future plans, but now it’s been made official, and traditional Twitter clients should watch their backs. In another blog post earlier this week, Twitter’s Vice President of Product Michael Sippey outlined exactly how the company plans to control the user experience of its product. For starters, large Twitter clients using Twitter’s API will have to obtain direct approval from Twitter in order to function. If a developer plans to create an app that requires access to a user’s timeline, direct messages, etc. (which are most traditional Twitter clients), they must seek Twitter’s permission if they plan to cultivate a user base over 100,000. The social media giant isn’t completely unreasonable, however, and won’t limit those applications already sporting over 100,000 users until their user base grows by 200 percent. As you may have guessed, “traditional Twitter clients” like Echofon and Tweetbot (both named specifically by Sippey in the article) are in the most danger. Sippey went into a lot of detail regarding the types of applications Twitter approves of and those it would rather not cater to, even creating the graphic above to illustrate his point. Basically, the apps that fall in the upper right corner are being discouraged, while Sippey would like to see the number of applications grow in the remaining quadrants. 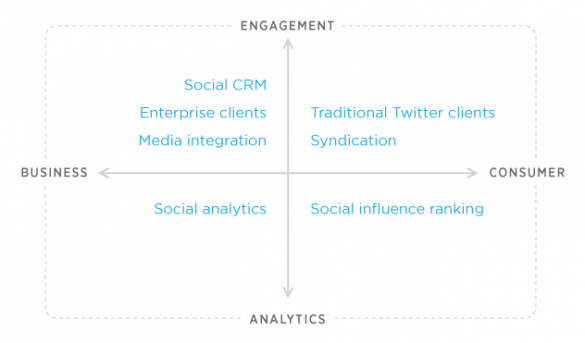 Sippey used Klout as an example of a successful application geared towards the consumer and social analytics, an area that Twitter approves of. Sippey said the changes would take effect “in the coming weeks” and regardless of their effect on existing Twitter applications, developers will be glad to finally hear some specifics after the somewhat foreboding letter to developers that was published a couple months ago. The first indication of Twitter’s new cut-throat nature came with its decision to drop out of a partnership with LinkedIn. Then, of course, it followed that up with the announcement of high-profile partners like The Wall Street Journal and TIME for its new Twitter Cards. 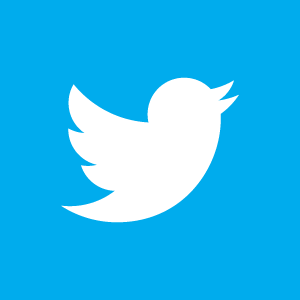 Twitter has made it crystal clear it’s ready to take business a lot more seriously, and it’s up to developers to keep up to Twitter’s increasingly complex and challenging demands. Previous PostPrevious Are computer eyewear the way to go?